Through the whole process we were treated with courtesy, patience and respect. The service we received from start to finish was outstanding!! We were listened to and our wishes were carried out with compassion and respect. Dealing with Diane and her colleagues at a most difficult time made it all the more easier. Was pleased with the professional and efficient service, which was also quite good value for money compared to others. Dear Mr Sullivan, Thank you for your kind words and taking the time to leave a review. We're pleased that everything went according to your wishes which were also carried out with compassion and respect. Dear Mr Osborne, thank you for taking the time to leave your kind review. Please do not hesitate to contact us if we can offer any further assistance. Dear Anita, Thank you for your kind words, we really do appreciate you taking the time to leave a review. Very well organised and genuinely warm during the preparations and actual service. Dear Kelly, Thank you for taking the time to leave a kind review in regards to our Catford Branch we really do appreciate it. Dear Shirley, Thank you for writing a kind review in regards to our Catford Branch. Here at Mears Family Funerals we always strive to ensure we make the hardest times easier for our families during such a difficult time. Again thank you for taking the time to leave a review. Dear Rita, It's lovely to read you have once again received a professional service from our Catford Branch. 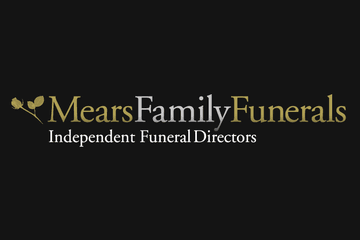 Thank you for entrusting Mears Family Funerals once again at your time of need. The staff were very thoughtful and respectful. A very good Professional Service, I was very happy with what I got. Dear Paul, Thank you for a kind review in regards to our Catford Branch. We're Pleased to read you was provided a professional, thoughtful and respectful service. As always my client was treated with the upmost respect, I have always used your services, as you are extremely professional, and treat each individual as if they were your family. Dianne who is main contact is an absolute star and she is one of the reasons we use you as a company. Thank you for your help and support !! Dear Gwen, Thank you for taking the time to write a kind review in regards to Dianne at Our Catford Branch. We're pleased to hear that a professional and respectful service was provided by our funeral Team. Very happy with the care and attention received at this sadnsnd distressing time. I was recommended to Mears by a family that has used you a few times. Thank you so much, your service was smooth and without any hiccups fro start to finish. Once again a big thank you. Dear Rita, Thank you for taking the time to leave a review in regards to our Catford branch we appreciate it. The staff was very helpful in organising my sons funeral. All that was involved before and on the day was very professional kind and caring. Would recommend. Would like to thank all the staff at the catford branch . Dear Dianna , I would like to thank you very much for the very excellent help and fantistic support you gave me during the arrangement of Michael O ‘ Sullivan’s funeral. It made a very difficult time so much easier with all the attention you gave me. I would also like to thank Alan for his professionalism and care in arranging the final funeral On behalf of Mary his sister and Kerrie his niece , a very big thank you. Dianna you were brilliant. Thank you all very much. Mary Henegan. Dear William, Thank you for your kind review in regards to our Catford Branch. Dear Kim, Thank you for taking the time to write such a lovely review in regards to Dianne and Yvonne. It was lovely to read that they ensured mum was looking lovely for the viewing and they were respectful,knowledgeable and helpful throughout. Extremely good service, thank you for all your help during a very difficult time, It got a bit confusing as to whether we should be dealing with The funeral parlour, Jeff or May. The family probably added to any confusion as s number of us had some involvement. Dear Derek, Thank you for writing a review. We're happy to read you received an extremely good service during a difficult time, even though there was some confusion with who you were meant to be dealing with. Everything went well the haas vehicle turn up in time. They directors were very sympathetic and respectful. They were very patient.I will to thank you for your services. Gilbert. Dear Gilbert, Thank you for taking the time to write a review in regards to our Catford Branch. We're happy to hear our Colleagues were Sympathetic and respectful throughout your time of need. Dear Denise, Thank you for taking the time in writing a review in regards to our Catford Branch. Dear Esengul, Thank you for such a lovely review in regards to Our Catford Branch and Mears Family Funerals. We're glad that Dianne was a comfort to you during such a hard time and as usual our Catford Branch delivering a great service to you and your family in your time of need. Dear Tracey, Thank you for the review about Dianne and our Catford Branch. We're happy that you were looked after so well by Dianne who as usual was professional and considerate throughout. Thank you also for your kind review in regards to Sally our Celebrant. Dear Ian, Thank you for your kind review in regards to our Catford Branch. Dear Michael, Thank you for taking the time to write such a kind review in regards to Dianne and our funeral team. We are pleased that you had received a courteous,professional and respectful service throughout. Dear Pamela, Thank you for taking the time write a review. We are very happy to hear that our team at our Catford Branch were able to comfort you during such a sad time. Thank you also for your kind words in regards to our funeral Team. Dear Clare, Thank you for your kind review. We are happy that you had received excellent and compassionate service from our team at our Catford branch. 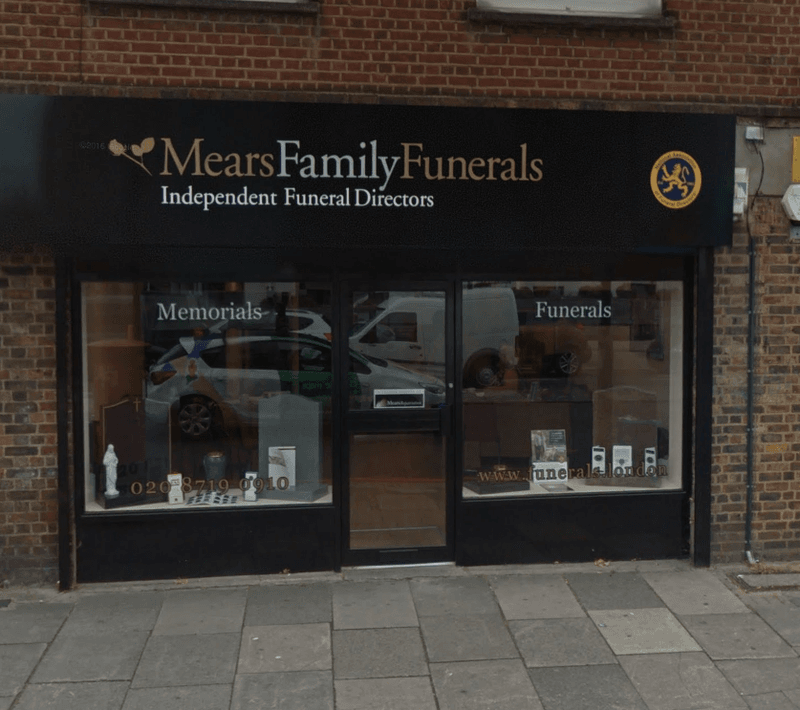 Mears Family Funerals Catford Branch will provide you with a free obituary as part of their service.